As with most of the creative work I do there is some sort of music connection. Taking pictures at live shows is brilliant to do and for sure there is an art to it as the stage lights are constantly changing. I am still learning. It is cool when your image ends up being used as a tour poster or ends up in a magazine or on a website. This gallery showcases some of the work but you can find more on Flickr. These two behind the scenes videos were created by Andy Wilkin. Thanks to Andy for producing these. The first video is a photoshoot with Scarlet Soho who I was doing a lot of video work with at the time as I created three promo music videos to co-incide with their single releases and European tour dates. Working with me on the shoots is my good friend and collaborator Louise Morrell. Southampton FC is my local Premiership club. I was pitchside as photographer for 3 games in 2017. 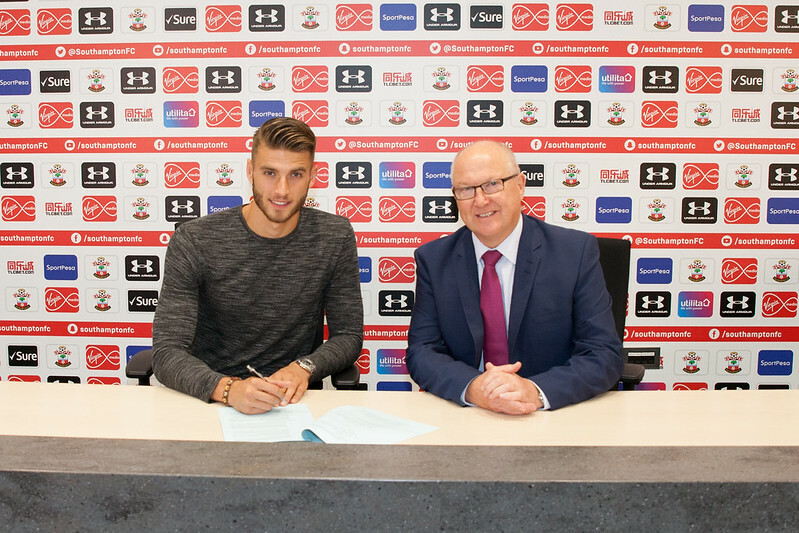 I was aked to come to the club's Staplewood Training and Development Centre to get images of Wesley Hoedt arriving and signing for Saints in the press room. I was the only photographer there so the pressure was on to get the photo. We then went on to the stadium for more photos. I even appeared in the behind the scenes video!